When the National Energy Board approved the long-awaited Mackenzie Valley gas pipeline in December 2010, it was just the most recent hurdle in the almost four-decade history of the project. The proposed gas pipeline from the Beaufort Sea to markets in southern Canada and the United States was billed in the 1970s as "the biggest project in the history of free enterprise." It was up to a Canadian judge, Mr. Justice Thomas Berger of British Columbia, to examine the impact of the pipeline on the people who lived in its path. Berger took to the job so thoroughly that some said he ran off with the terms of reference that established what was formally known as the Mackenzie Valley Pipeline Inquiry, embarrassing the Liberal government that appointed him. Berger visited the Western Arctic the summer before the hearings formally opened. He and his wife travelled throughout the region, meeting informally with the Dene, Inuit, Métis and white residents who lived and worked in the North. He held formal hearings in Yellowknife, where the experts had their say. The most innovative part of the inquiry was the community hearings, held in tents and log cabins, sometimes outdoors, with many of them ending with traditional drum dances and delicious cookouts. On May 9, 1977, Berger's report was released in Ottawa. Significantly, Berger titled his report Northern Frontier, Northern Homeland, for above all he wanted the world to know that though the Mackenzie Valley may be the route for the biggest project in the history of free enterprise, people also live there. Berger warned that any gas pipeline would be followed by an oil pipeline, that the infrastructure supporting this "energy corridor" would be enormous — roads, airports, maintenance bases, new towns — with an impact on the people, animals and land equivalent to building a railway across Canada. Some dismissed the impact of a pipeline, saying it would be like a thread stretched across a football field. Those close to the land said the impact would be more like a razor slash across the Mona Lisa. "We are now at our last frontier," the report began. "It is a frontier that all of us have read about, but few of us have seen. Profound issues, touching our deepest concerns as a nation, await us there." "I discovered that people in the North have strong feelings about the pipeline and large-scale frontier development. I listened to a brief by northern businessmen in Yellowknife who favour a pipeline through the North. Later, in a native village far away, I heard virtually the whole community express vehement opposition to such a pipeline. Both were talking about the same pipeline; both were talking about the same region — but for one group it is a frontier, for the other a homeland." The hard news of May 9, 1977, was Berger's recommendation that any pipeline development along the Mackenzie River Valley be delayed 10 years, and that no pipeline ever be built across the northern Yukon. The pipeline was delayed far longer than 10 years. In recent years, there has been a resurgence of interest in a gas pipeline up the Mackenzie Valley, and many of those now pushing for the pipeline were the young radicals who opposed it with such vehemence 25 years ago. 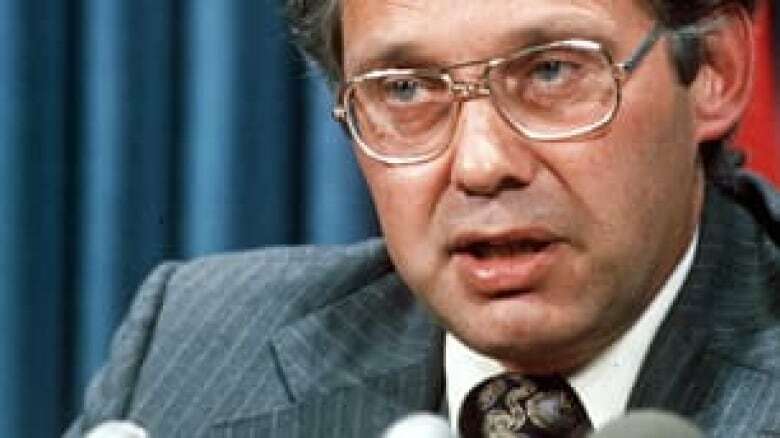 In August 1975, when Berger took the inquiry to Fort Good Hope in the Northwest Territories, Chief Frank T'Seleie blindsided Robert Blair, president of Foothills Pipe Lines Ltd. of Calgary, one of the contenders to build the pipeline. T'Seleie, one of the young university-educated chiefs, who is in his 20s, sat beside Blair at the witness table. When his turn came, T'Seleie testified, "You are like the Pentagon, Mr. Blair, planning the slaughter of innocent Vietnamese. Don't tell me you are not responsible. You are the 20th-century General Custer. You are coming with your troops to slaughter us and steal land that is rightfully ours. You are coming to destroy a people that have a history of 30,000 years. Why? For 20 years of gas? Are you really that insane?" T'Seleie left Fort Good Hope, went south, spent time at Trent University in Peterborough, Ont., then returned to the North. He became chief again at Fort Good Hope. In his second run at the job, he became a strong advocate in the new push for a gas pipeline up the Mackenzie, now that most land-claim obstacles have been cleared. 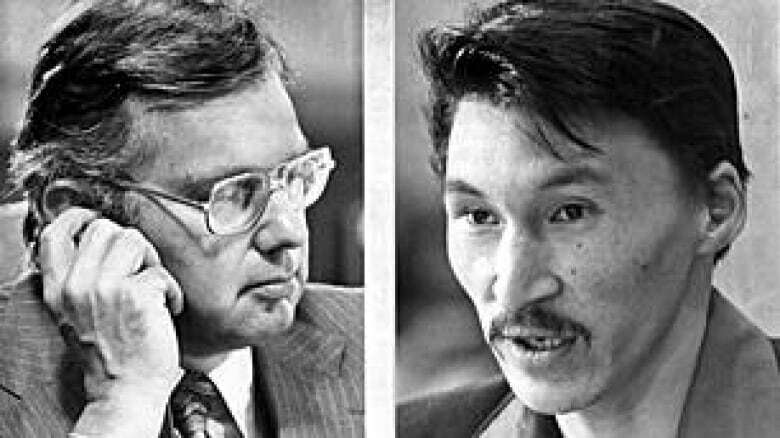 Kakfwi would become premier of the Northwest Territories — and another strong backer of the pipeline. The N.W.T. 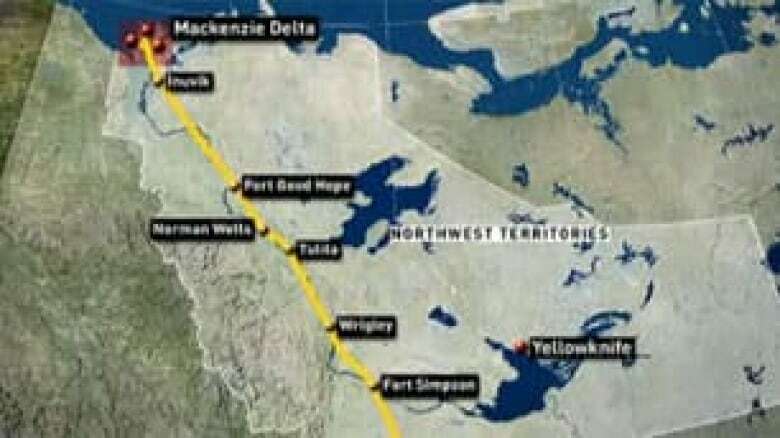 government supports construction of a 1,700-kilometre pipeline to tap reserves in Alaska and the Mackenzie River delta, then carry the gas up the Mackenzie Valley into Alberta and south to the United States. By early 2004, the push to get the pipeline built was gathering steam but then met resistance as negotiations between governments, potential pipeline builders and native groups stalled. Those obstacles began to be resolved later that year. And on July 18, 2005, the federal government announced it would spend $500 million over 10 years to address the socio-economic issues of the northern First Nations. As it stands today, three of the Dene nations have now settled land claims in the area and are entitled to a one-third interest in any project. The nations include members of the Inuvialuit, the Gwich'in and the Sahtuwill and are collectively known as the Aboriginal Pipeline Group. A fourth group, known as the Dehcho First Nations, has yet to sign on. The Aboriginal Pipeline Group says Dehcho's 34 per cent share "will be held for them if and when they choose to participate." After leaving office in 2003, Kakfwi would become part of the negotiating team for groups in the Sahtu region around Fort Good Hope. Kakfwi would push for the right of native groups to levy property taxes on the gas producers. That proposal met stiff resistance and Kakfwi would eventually be dropped from the negotiating team. "[Fort Good Hope leaders] were under pressure from the federal government and Imperial Oil to take a less confrontational approach than I've taken," he said. The National Energy Board began public hearings into the project's technical and economic aspects in January 2006. Those hearings ended in December 2006. Calgary-based Imperial Oil is the lead company in the consortium that is spearheading the pipeline. The consortium also includes Exxon Mobil Corp., ConocoPhillips, Royal Dutch Shell PLC and the Aboriginal Pipeline Group. In October 2006, the Yellowknife-based social justice group Alternatives North estimated that Imperial Oil and its partners will earn billions from the project and should not require assistance from the federal government. But Imperial Oil refuted that report, saying the project is "economically marginal." In March 2007, Imperial Oil said the cost to develop the pipeline had more than doubled to $16.2 billion. It also pushed back the scheduled production start date by three years to 2014. A report from the second round of hearings by the Joint Review Panel examining the social and environmental impact of the project was issued on Dec. 30, 2009. The panel said it was confident that the project, "if built and operated with full implementation of the panel's recommendations, would deliver valuable and lasting overall benefits and avoid significant adverse environmental impacts." "The proponents' mitigations and enhancements, the measures governments would put in place and the panel's recommendations would, in combination, mitigate adverse impacts, reduce the risk and enhance the opportunities," the review panel concluded. The panel emphasized, however, that its support was conditional on the implementation of 176 recommendations highlighted in the 679-page report. Ensuring government protection against development, at least on an interim basis, for lands identified for protected status. The review panel's report was met with enthusiasm by supporters of the project. It is "an encouraging step, but only one of the steps remaining," Imperial Oil spokesman Pius Rolheiser told CBC News. The report was passed along to the National Energy Board for a final round of its own hearings in April 2010. On Dec. 16, 2010, the NEB conditionally approved the project. Stakeholders are free to proceed with plans as long as the 264 environmental, financial and cultural commitments in the NEB's report are met. "We are satisfied that the proposed Mackenzie Valley Pipeline is, and will be, required by the present and future public convenience and necessity — provided the terms and conditions are met," the report said. "Therefore, subject to the approval of the Governor in Council, a certificate will be issued pursuant to Part III of the National Energy Board Act." The board's decision is now subject to final approval from the federal cabinet. That approval is expected to come in mid-January 2011, sources have told CBC News. Regardless, the plan is still years from development. Imperial Oil has until Dec. 31, 2013, to make a final decision on whether to proceed with the pipeline at all, although it has asked the NEB for three more years to decide. Should the company decide by 2013 to go ahead, construction would start in 2014 and production would start in 2018. The project's estimated price tag of $16.2 billion has ballooned from $7.5 billion prior to 2007.